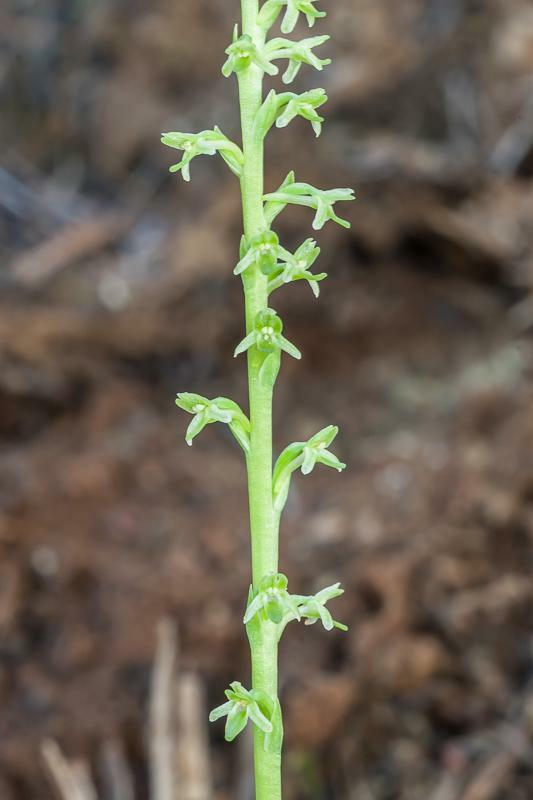 Platanthera unalascensis, commonly known as the Alaska Orchid is found from the Aleutians south to Baja California with disjunct populations in the Great Plains, Great Lakes area, and eastern Canada. 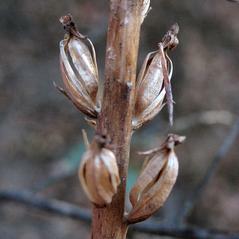 This orchid grows up to 70 cm, usually with more than 6 stem bracts and basal leaves that wither before flowering. 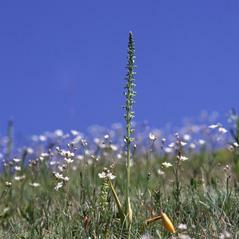 The slender spike has up to 100 loosely spaced, small yellowish green flowers. 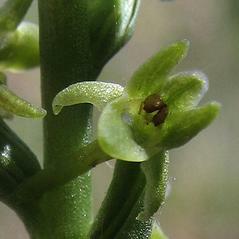 The petals are erect and sickle-shaped. 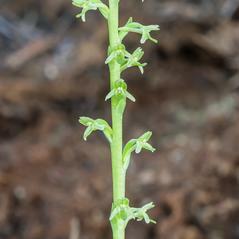 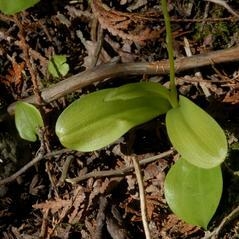 The labellum is blunt with a fleshy central thickening. 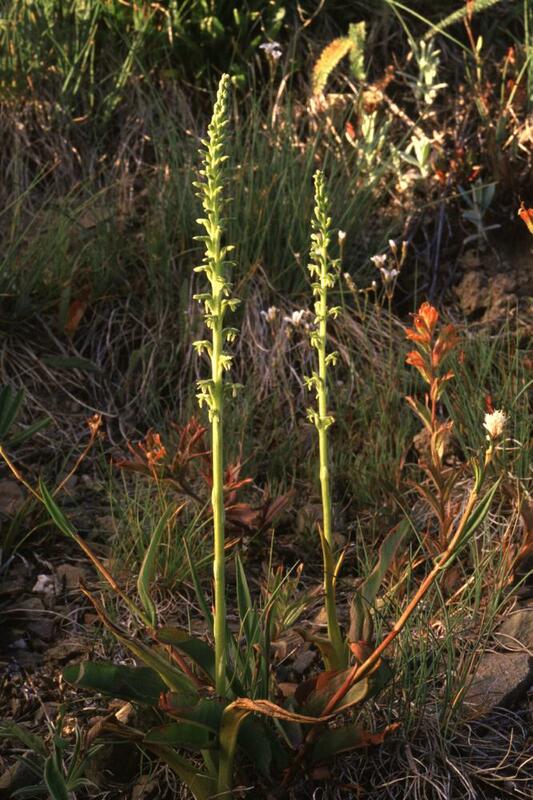 The nectar spur is stout and about as long as the labellum. It grows in various habitats including open mixed and coniferous forests, roadsides, tundra, outcrops, floodplains, thickets, and meadows. 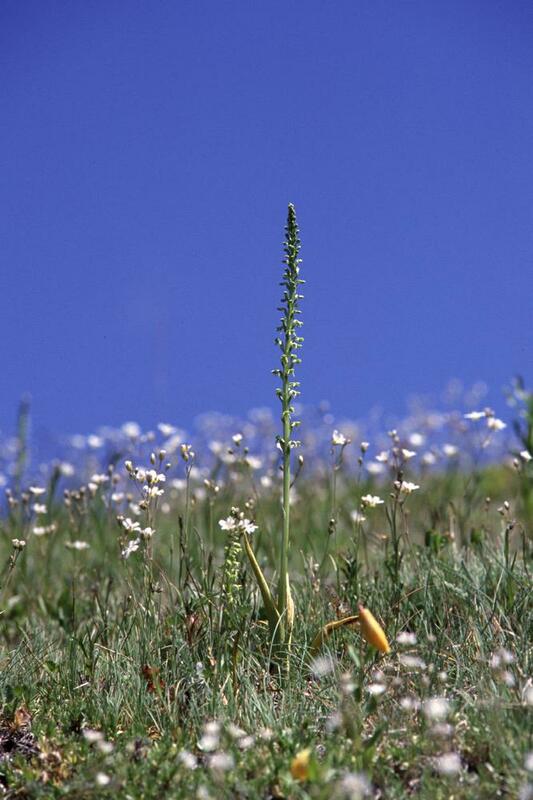 Plants in coastal populations may be shorter and more densely flowered. 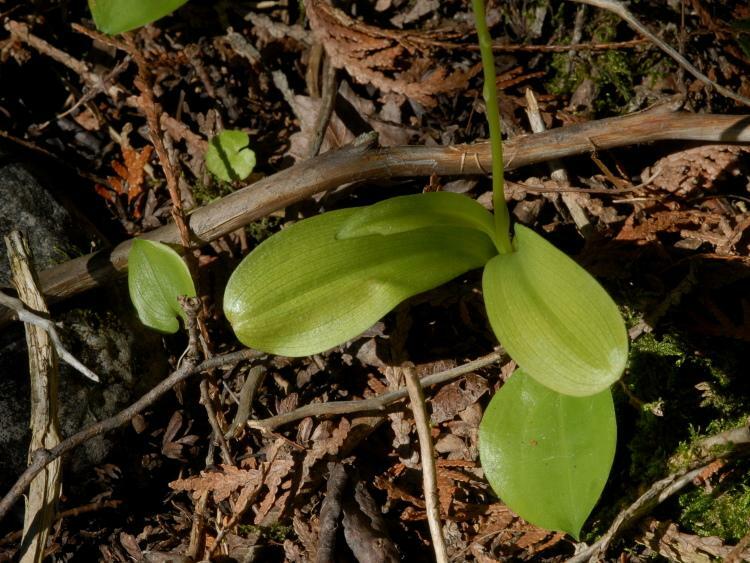 This orchid has a disagreeable ammonia-like smell. 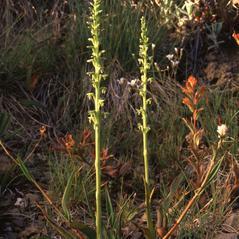 Platanthera unalascensis is considered globally secure. 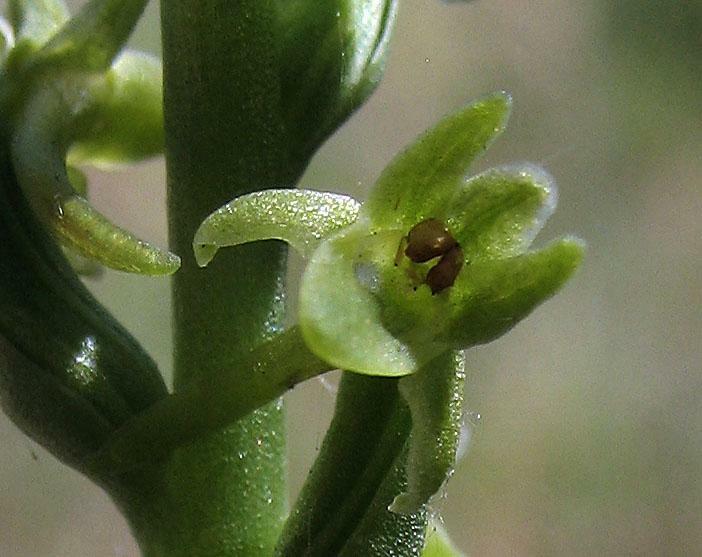 This orchid is pollinated by moths in the genera Eupithecia, Oidaematophorus and Platyptila with pollinaria attached to the proboscis.